Login or Sign up with an account to earn 3wards yards. Earn 425 yards to get this product FREE! 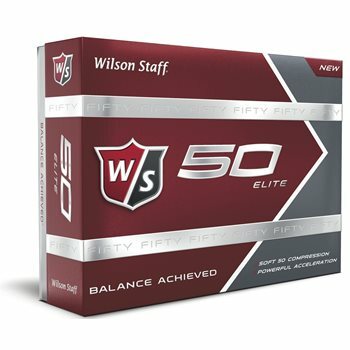 The Wilson Fifty Elite golf ball is a 2-piece construction with a new Nano Tech core that is 22-percent softer than the original Nano Tech core for a softer feel. Its 302-dimple PhD aerodynamic pattern features flat-bottomed dimples that penetrate the air for a more stable ball flight. Review by goldilocks, 1 year ago.